"The search process needs to be documented in enough detail throughout the process to ensure that it can be reported correctly in the review, to the extent that all the searches of all the databases are reproducible." CONSORT, stands for Consolidated Standards of Reporting Trials, encompasses various initiatives developed by the CONSORT Group to alleviate the problems arising from inadequate reporting of randomized controlled trials (RCTs). Contains a comprehensive searchable database of reporting guidelines and also links to other resources relevant to research reporting. PRISMA : Preferred Reporting Items for Systematic Reviews and Meta-Analyses. 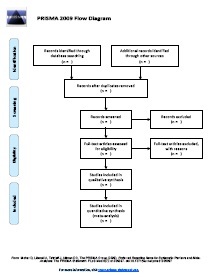 A reporting statement and checklist for preparing systematic reviews and meta-analysis of randomized trials and health interventions. The 27 checklist items pertain to the content of a systematic review and meta-analysis. 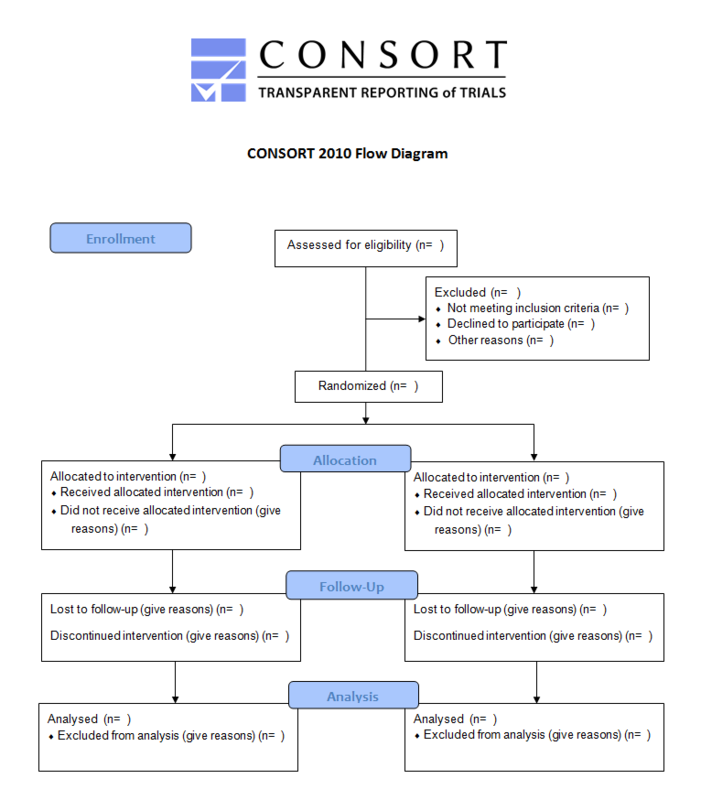 Templates of the CONSORT flow diagram are available in PDF and in Word document.